Eighty percent of the nation’s domestic citrus shipments originate from California and loadings this season look favorable despite more than a month of triple digit heat. Meanwhile, a look at apple shipments in the United States reveal a double digit drop in remaining volume compared to last season. The state has a $3.3 billion industry with over 3,000 growers farming about 320,000 acres of citrus. Technically, the California citrus season starts each year at the beginning of October with production and lemon shipments coming out of the Imperial County. The harvest then gradually moves north to the San Joaquin Valley for mandarins and navels. This year’s crop faced 34 consecutive of temperatures well above 100 degrees. This caused citrus trees to kind of shut down, which is expected to result in fruit with a lot more smaller sizes that a year ago. Still, the industry generally believes overall quality will be good. An upside of the hot weather should be better flavor. California citrus – grossing about $7100 to New York City. U.S. fresh apples remaining for the 2018-19 shipping season are down 14 percent compared to a year ago. The U.S. Apple Association reports as of November 1st there were 155.5 million cartons remaining in storages. The amount of apple shipments remaining are 11 percent less compared to the five-year average of 130.3 million cartons. Total Honeycrisp fresh apples still in storage as of November 1st were 11.15 million cartons, up 6 percent from 10.56 million cartons last year and 58 percent higher than two years ago, when 7.06 million cartons of Honeycrisp were in storage. At the same time, fresh market gala apples remaining in storage totaled 24.4 million cartons, down from 15 pecent at 28.6 million cartons last year and off 6 pecent from two years ago. Fresh market red delicious holdings were 27.6 million cartons on November 1, down 19 percent from 34.1 million cartons a year ago and 29 percent less than holdings of 39 million cartons two years ago. California and Texas orange shipping estimates have been lowered by the USDA….Meanwhile California garlic loadings are off to a good start. The California shipments are pegged at 44 million boxes, down 1 percent from the USDA’s June projection. Texas orange shipments of 1.88 million boxes, are down 11 percent from June. The California valencias shipping forecast has been lowered 5 percent to 9 million boxes, on par with last season. The forecast for California navel shipments remain steady at 35 million boxes, which is down 11 percent from the 2016-17 season. While USDA lowered its estimate for Texas orange shipments, 1.88 million boxes still represents a 37 percent gain from last season. The Florida orange shipping forecast of 44.95 million boxes was unchanged from the previous month, as June was the final update of the year. In September, Hurricane Irma devastated citrus groves throughout the state. In the 2016-17 season, Florida shipped 68.85 million boxes of oranges. The estimate for early, midseason and navel varieties was 18.95 million boxes, down 43 percent from the 2016-17 season. The Florida valencia shipping forecast was 26 million boxes, down 27 percent from 2016-17. USDA estimates 2017-18 grapefruit shipments at 12.86 million boxes, down 7 percent from last month and down 26 percent from 2016-17. Texas shipments are projected at 4.8 million boxes, 16 percent lower than the June estimate, but on par with last season. Estimates for Florida and California were 3.88 million boxes and 4 million boxes, respectively. The projections have not changed since June, but the numbers represent a 9 percent drop from 2016-17 for California and a 50 percent drop for Florida. California is expected to ship 20 million boxes of mandarins and tangerines, down 5 percent from the June estimate and down 16 percent from the 2016-17 season. The volume forecast for Florida is unchanged from last month — at 750,000 boxes — but down 54 percent from last year. USDA estimates total lemon shipments at 21.8 million boxes, the same as June but down 2 percent from 2017-18. The domestic garlic crop has gotten off to a good start, and expectations are high for the 2018 season. Christopher Rancy of Gilroy, CA expects to ship over 100 million pounds of garlic this season. I it the largest crop the shipper has had in decades. A California heat wave that started two weeks ago in the coastal region has brought on lemon ripening much more quickly than usual and product is dropping from trees. Long story short, California lemon shipments will be much lighter than normal for the next two months. Wonderful Citrus of Delano, CA has less than 20 percent of its lemons remaining on trees. Lemoneira of Santa Paula, CA reports the heat wave hit July 7th and has continued. Overall, imported lemon volume has been down this summer and the situation will not improve anytime soon. Imported Mexican lemons are expected to be off 15 to 20 percent due to a December cold front affecting trees in the colder regions of Mexico’s lemon growing regions in the north. At the same time Chile is projecting a lemon crop very similar to last season, but their shipments to the U.S. are down by 30 percent compared to the same time last season. Chilean adverse weather condition has slowed harvests and move back shipping dates. Additionally, Argentina lemon imports have been less this season than anticipated. Domestic lemon shipments from the California-Arizona desert region by the end of August, but only in very light volume. Full volume from that area will not be available until the end of September. 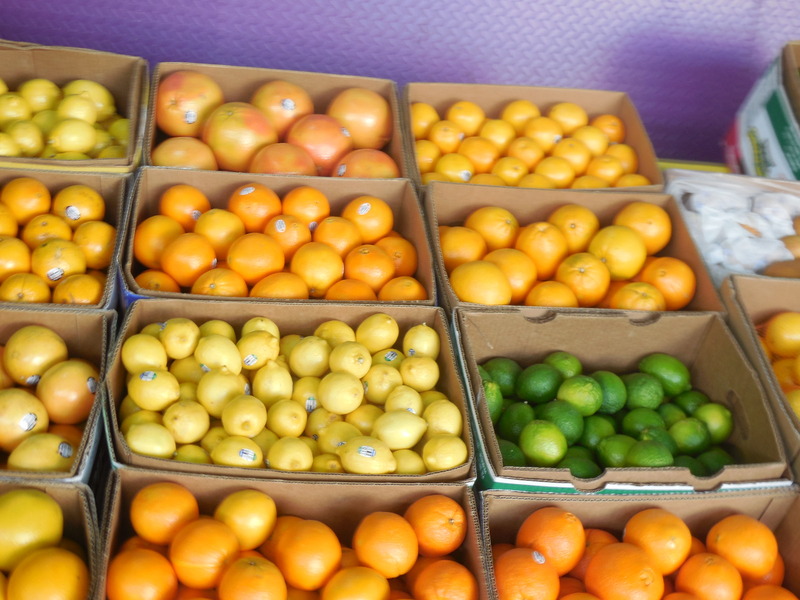 The recently completed California orange shipping season has the last tabulation at 44 million boxes, down 1 percent from the USDA’s June projection. The estimate for valencias has been lowered 5 percent to 9 million boxes, on par with last season. The forecast for navels is steady at 35 million boxes, which is down 11 percent from the 2016-17 season. The smaller navel crop — with that season normally running from October into June — was expected by the industry because of a couple of weather events. The USDA forecast for the new season of California orange shipments will come out in September. The California navel forecast of 86 million 40-pound cartons — up from 76 million last season — is larger than originally predicted. Shipments are just starting out of the San Joaquin Valley. Volume will be increasing as we get latter into October. Lemon shipments out of California and Arizona from the desert growing region, which will provide most loadings for the next few months, with volume expected to be off by 15 to 20 percent compared to a year ago. However, volume out of the San Joaquin Valley should be similar to a year ago. Lemons shipments will continue out of the desert until December before moving to the San Joaquin Valley. Wisconsin potato yields are expected to average 440 to 460 hundredweight per acre, which is considered very good. A year ago, the Badger State averaged between 410 and 420 per acre, which also is considered to be good. (add # shipments per week) Harvest continues. Central Wisconsin potatoes – grossing about $1000 to Chicago. 90 percent of the Red River Valley crop from North Dakota and Minnesota will be harvested in October. Some potatoes have been going directly into the fresh market, but most are being placed into storage. Average yields and shipments are seen for this season. Grand Forks, ND red potatoes – grossing about $1750 to Chicago.